Circle Graphics (see my earlier post) makes for smooth, graceful characters constructed entirely from lissajous figures! 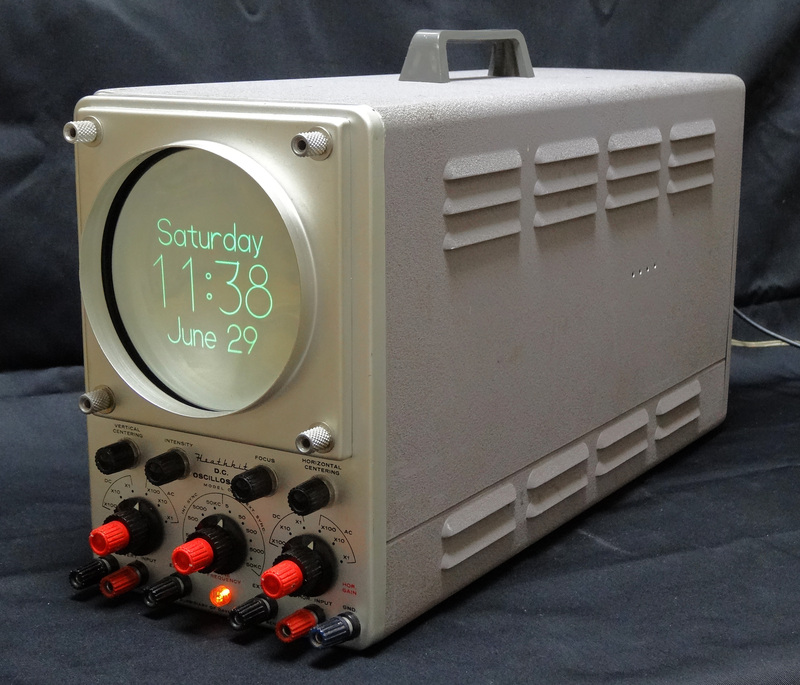 Never before has an oscilloscope looked so utterly delightful. 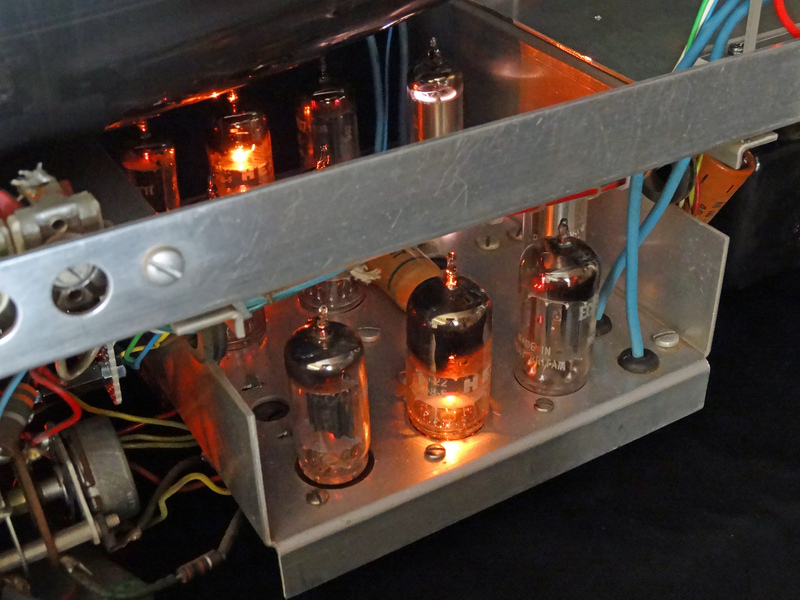 Eventually I might make an acrylic case, to show off not only the CRT but also Grandpa’s soldering prowess. In preparation for that, I’ve made sure that all the tubes (valves) still light up when you turn the original power switch on. What a beautiful scene!! The OR-1 happened to have a trimmer control at the back, so I tucked this control inside the unit, leaving a nice big hole – perfect to mount the socket for the Garmin GPS unit. This baby never loses track of time! 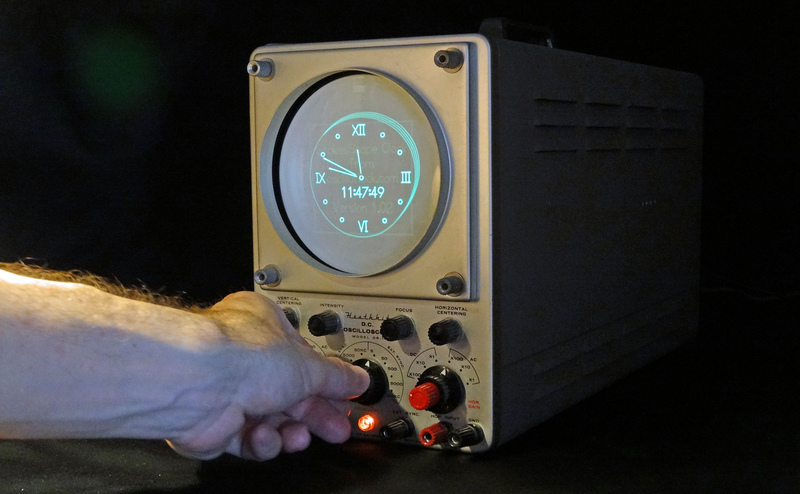 If you have a cherished oscilloscope that you wish to preserve in entirety, but also want to put to practical use in your workshop, office, coffee shop, or museum, converting it to an Oscilloclock is a nice idea! 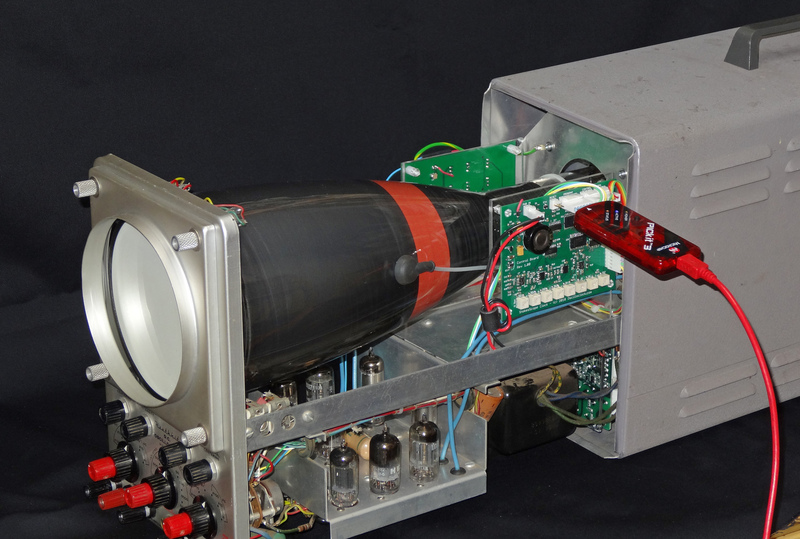 However, the conversion process depends heavily on the oscilloscope you have, and your preferred approach. 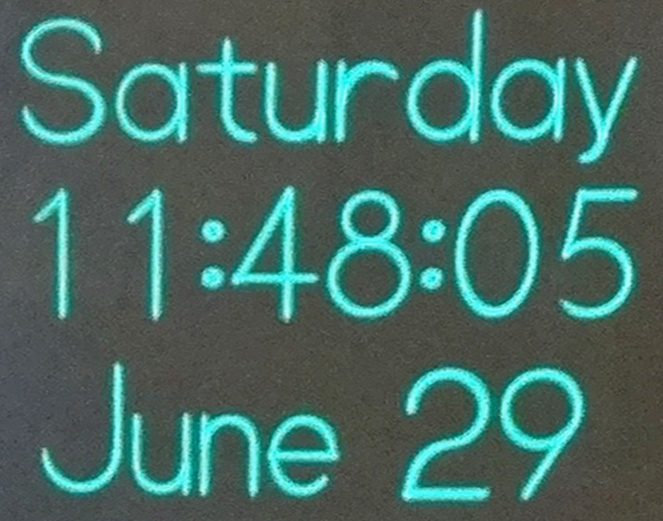 There is no single ‘cookie-cutter’ step list, although the Oscilloclock boards are designed to be relatively flexible. 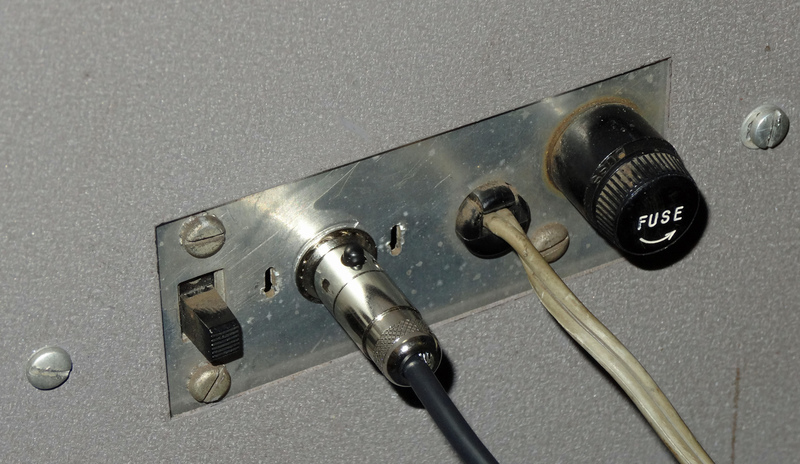 In the next post, I’ve highlighted the key steps taken in converting the Heathkit OR-1. Take a look! Lastly, a note regarding Heath Company: As far as I can tell from their web site, they are in business again, and are even planning to re-start kit production! 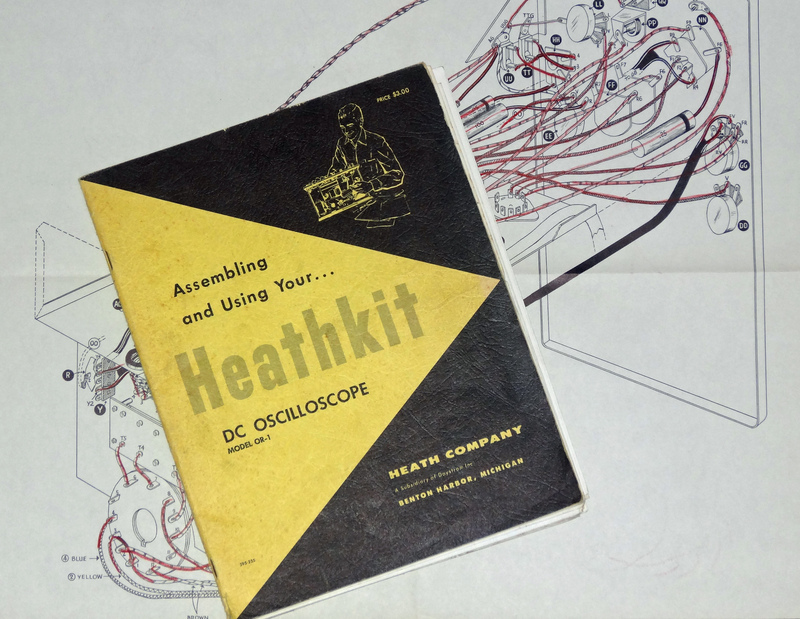 They of course own the Heathkit logo and trademarks referred to in this article. 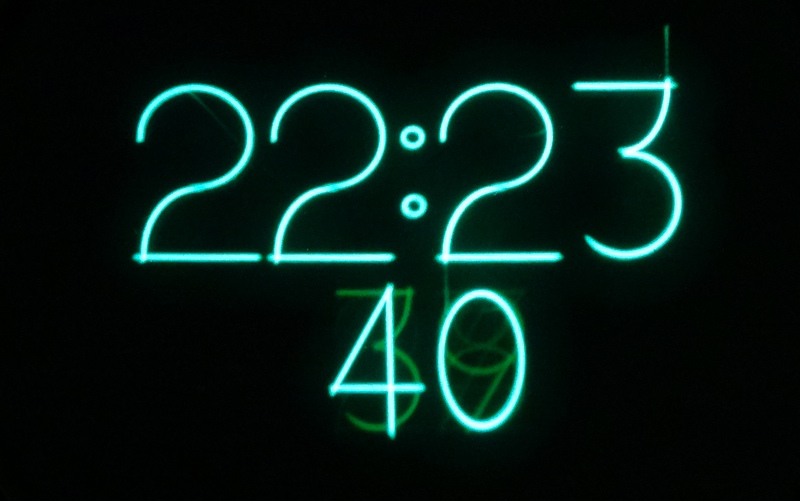 It is my hope that rendering their logo on the Oscilloclock will not offend them. 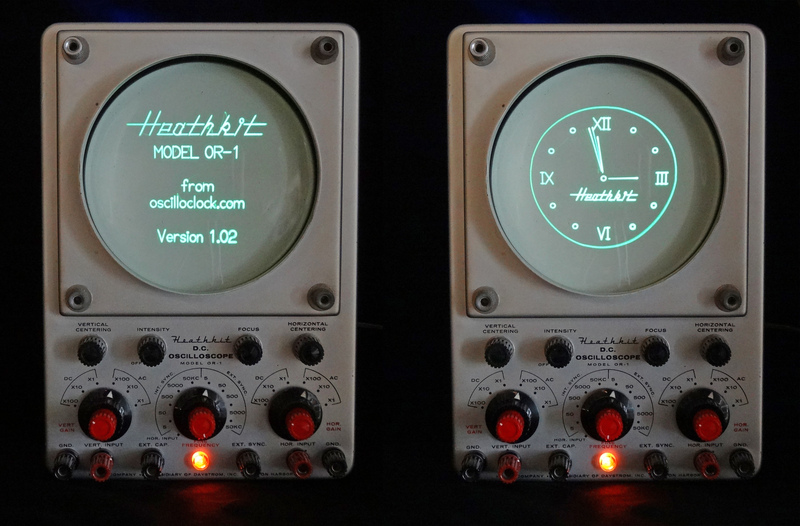 This entry was posted in Showcase and tagged Circle Graphics, clock, conversion, Heath, Heathkit, kit, Oscilloscope, retrofit, Scope, Tube, Valve, Vector graphics, オシロスコープ, クロック, ヒースキット, 時計. レトロ, 真空管 by Aaron. Bookmark the permalink.